For Largemouth $15 – $20 doz. Not Included: Fishing License, Food, Live Bait and Tips (gratuities). All packages include hotel accommodations, pick up at hotel (if necessary), professional guide fishing, all fishing gear, ice and soft drinks. All rates based on double occupancy. Third person add $100 per Day. For waterfront dining: the lovely Blue Moon Fish Market. 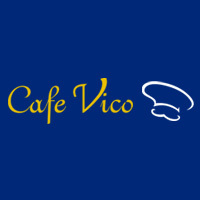 For a touch of Italy: Cafe Vico, a premier Italian restaurant.